We are having a baby!! :) We meaning all FOUR of us! 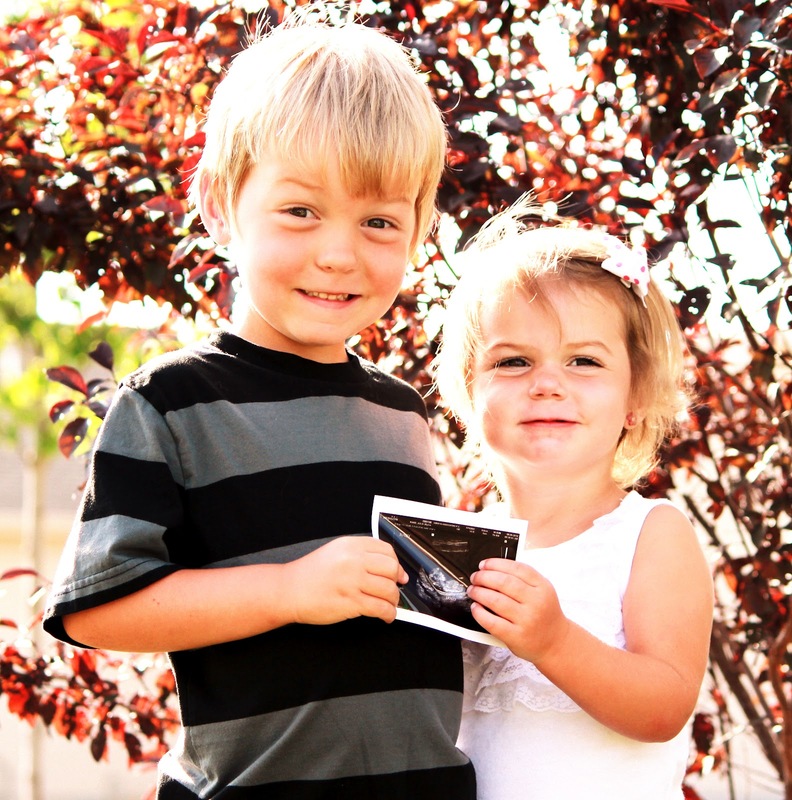 Everyone is so excited to have a new member of the family on the way. I am almost 12 weeks along now and have a due date of December 28. We had a 10 week ultrasound and what a JOY to see that little baby bouncing around inside. Everything looked really good and the heartbeat was so strong so we were very thankful!! I have been feeling pretty well this 1st trimester but I have my moments. It is definitely more challenging being mommy of TWO and pregnant again. I don't think they quite understand when Mom is under the weather and not FULL of energy like normal ;) We have been having a really fun summer though and staying as busy as we can!! Kaden keeps asking what we are going to do for his birthday this year?!? I told him WELL its going to be a BUSY year and we might just have a BABY for your birthday this year :) We shall see!! I am so excited for you all! New life is such an adventure and so precious. You are wonderful parents and I can't wait to hear what you're having! Love and miss you! And.... NOW he's HERE!!! :D Love little Kael - a precious boy!!! We are a family of four: Jason, Julia, Kaden and Keira. Back in 2000 a boy from Minnesota and a girl from Texas met in Greenville, SC. Now 10 years later we call ourselves a family. Our life has been so blessed each step of the way as God has lovingly led us and guided us on our journey. We are so grateful for His provision and most of all that we can travel this path together.